Crossline CorTen Bridges are flat bridges with segmented fencing. 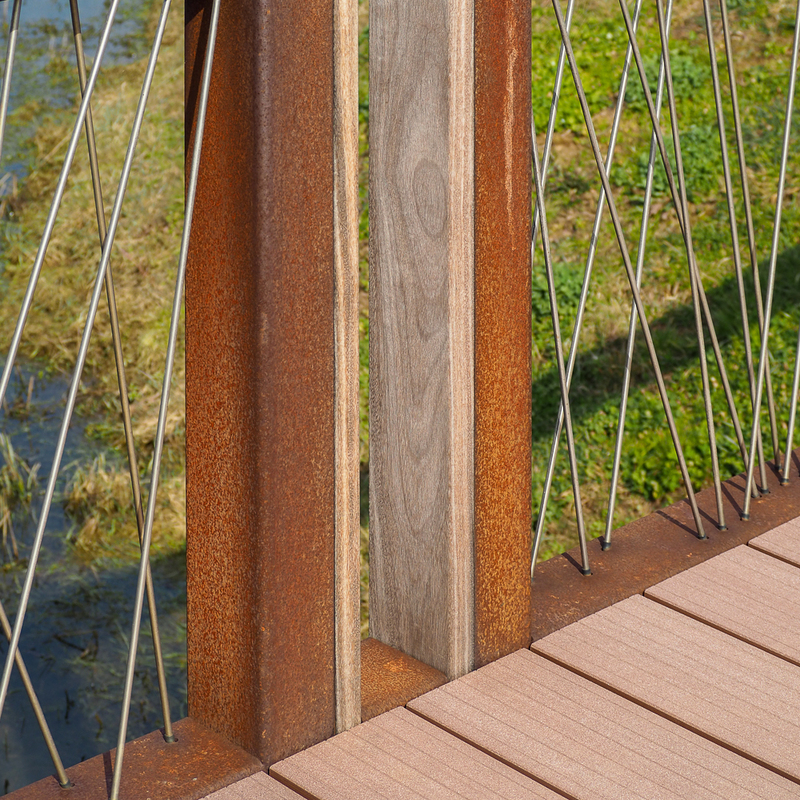 The segmented fencing frames give these bridges a sophisticated-outdoor look. 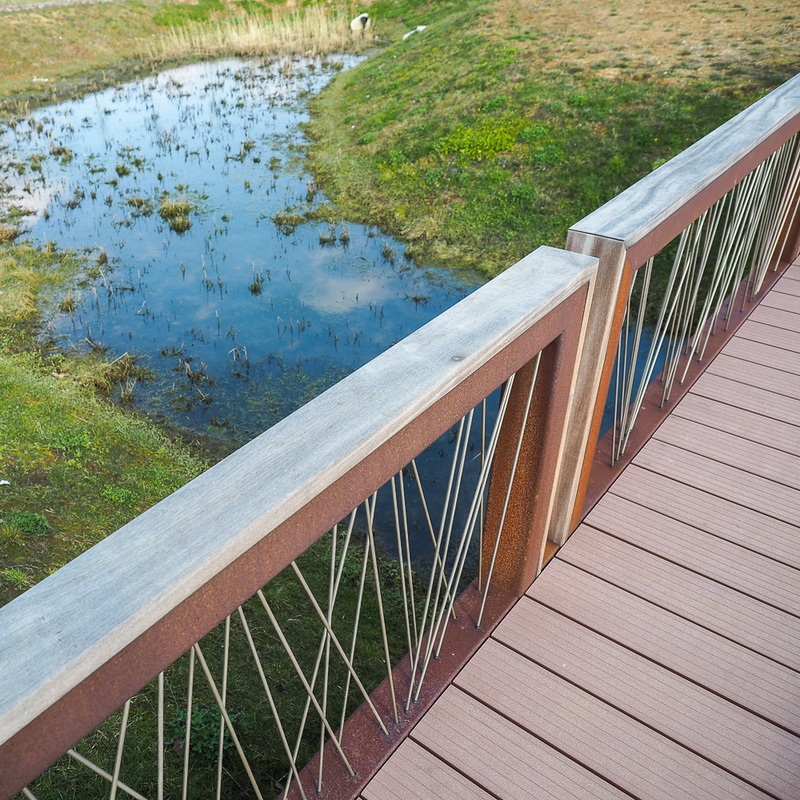 The robust frames are made of CorTen and covered with an FSC® hardwood railing. 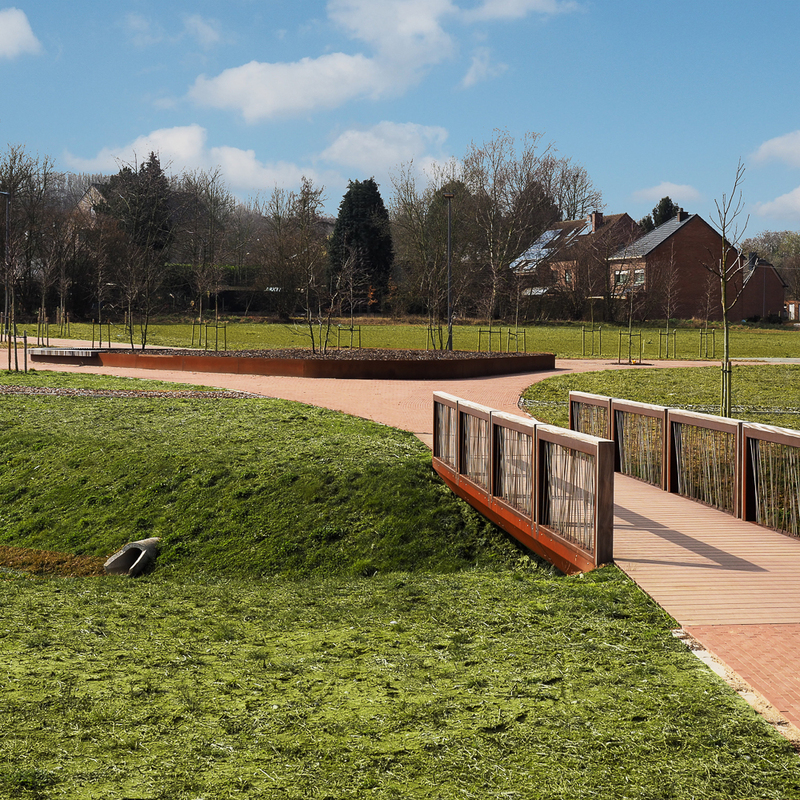 The fencing modules of the Crossline CorTen Bridges are available with various inserts. The Crossline bridge with horizontal stainless steel cables, creates a clean, transparent image. The infill is available in horizontal stainless steel cables or criss-crossed stainless steel balusters. 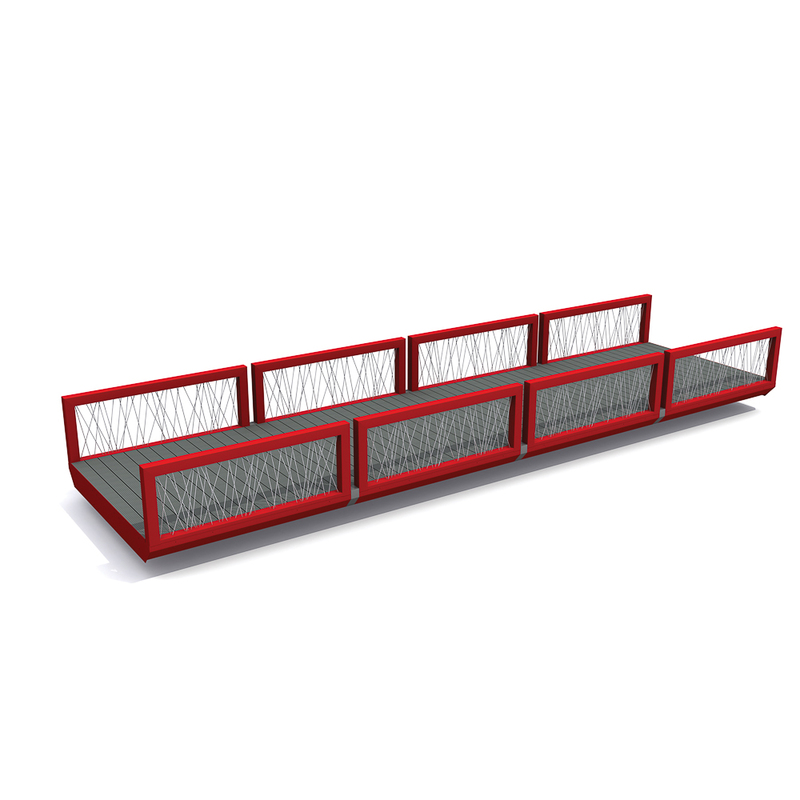 The varied materials and dimensioning of the infill results in an engaging contrast with the sturdy frames. Lighting can be placed underneath the railing for a subtle effect. This concealed placement ensures diffuse lighting that will not blind passers-by. An attractive solution, in terms of both light technology and aesthetics.